PLANO, TX - The cash reward for a tip leading to the arrest and indictment of a suspect in the murder of Christopher Collinvitti has been increased up to $32,000, according to the North Texas Crime Stoppers. Mr. Collinvitti, was shot and killed on November 7, 2017 in the garage of his home, located on Case Drive in Plano. If you have any information about this case, you may report tips using the above link, or call Crime Stoppers at #877-373-8477. DALLAS, TX - The cash reward for a tip leading to the arrest and indictment of a suspect in the murder of Roseli Paz-Perez has been increased up to $16,000, according to the North Texas Crime Stoppers. On September 12, 2017, at approximately 2:59pm, officers responded to a Robbery call at 9310 Sedgemoor Avenue. Upon arrival, officers observed the victim, Roseli Paz- Perez, Latino female, age 34, deceased from homicidal violence. 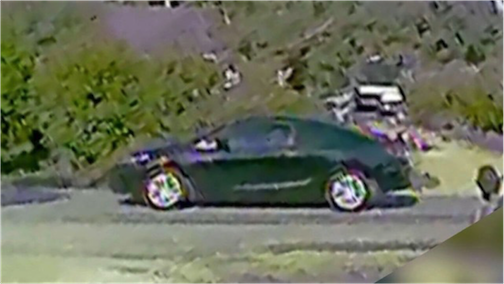 The video surveillance camera captured the depicted vehicle fleeing the offense location (Suspect's Vehicle pictured below). This offense is documented on Dallas Police case #209048-2017.